Where? 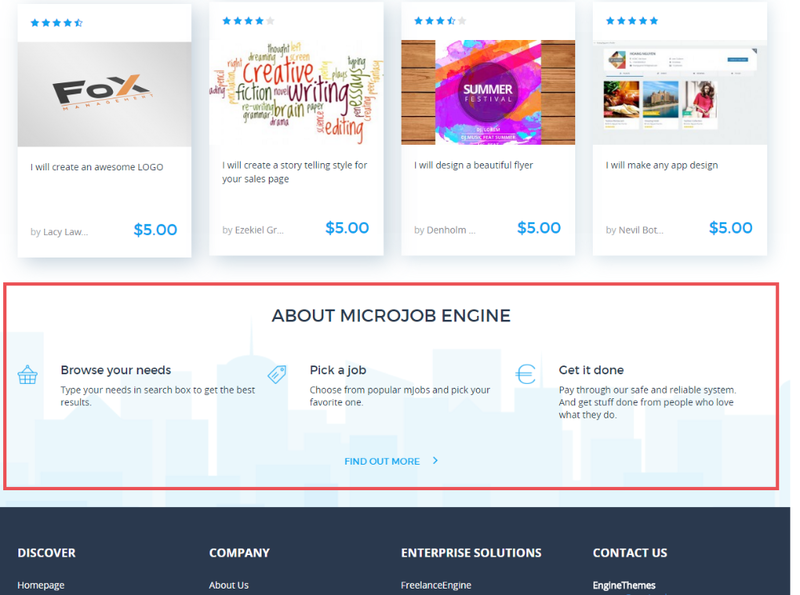 Engine Settings → Theme Options → Microjob. This is where you manage all contents on your site. How? In this tab, you can prevent inappropriate content in your site as well as decide which types of file can be posted in the site. - Pending review: if you enable this option, new posted mJobs have to wait for your approval to be active on site. - Time Limit for Order Completion: Set the time for auto order finishing. It specifies the time a buyer has to mark “Finished” for a satisfying order delivered from the seller. The default is 7 days. It means after 7 days from the delivery date, the system will auto finish the order so that seller can receive the money. - Limit type format: You can decide the file types that can be posted. Just insert the type names and separate them by comma. - Maximum upload file size: Although the default maximum size is 32mb, you can limit file size to a smaller number. - List bad words: Insert words that you think shouldn’t be allowed on your site. If there’s a user posting any of these words, they will be replaced. - Replacement theme: Give a replacement word for all bad words. In Homepage Search settings: You can insert your background image URL and rename the headline and sub headline in homepage. Select About settings: You can edit the About section which in front-end appears before the footer. Below is how the content in About settings section appears in front-end. Where? Appearance → Customize. Easily edit some objects on site. How? You can manage: Site identity, Menus, Widgets, and select the Static front page.